Monday, February 18, 2019 is President’s Day! Washington’s Birthday is a United States federal holiday celebrated on the third Monday of February in honor of George Washington, the first President of the United States, who was born on February 22, 1732. We are celebrating President’s Day with a Mt. 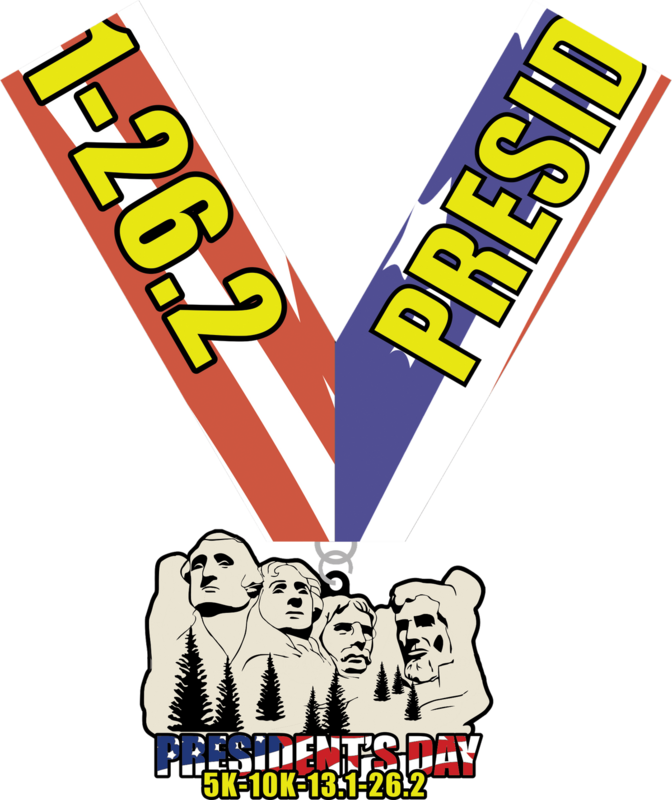 Rushmore themed medal! What: This is a virtual race. You choose to complete a 5K, 10K, 13.1 mile or 26.2 mile run/walk. You complete your race on your own and submit your time to us. Then we ship your medal directly to you. 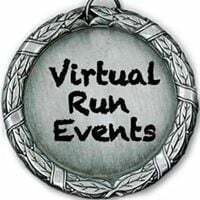 When: Complete your race on President’s Day, or any time during the month of February. *Medals will begin to ship out mid-January. If you sign up after that they’ll ship within 2 to 5 days of signing up. 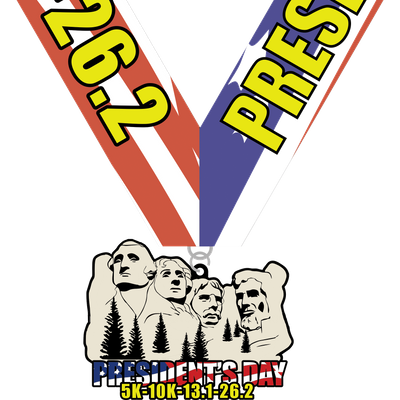 Why: To celebrate all of the great Presidents!COST: $20, which includes your medal, official bib and shipping. Plus, at least 15% of every entry will be donated to Save A Child’s Heart, *We are in no way affiliated with this charity, we like to choose a different charity for each of our races and are happy to raise funds for them.